Calf rearers, Wayne and Theresa Russell are proof that success can be made from juggling farm-life and work-life. For the Russell family, attention to detail has always been a key part of ensuring a successful business. However, investment in data collection is allowing for more of a focus on daily liveweight gains (DLWG), paving the way for research into feed conversion ratios. 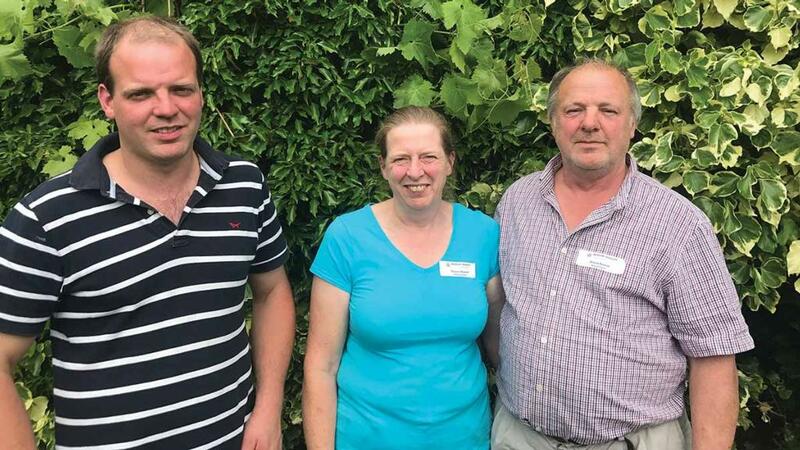 Wayne and Theresa Russell and their grown-up children, Richard, Ben and Katherine, have been contract rearing calves on their Herefordshire farm since 2008, but seven years ago began rearing for Meadow Quality, taking 65 calves per month. Following the discovery of a bTB reactor, the family took the decision to make the farm an approved finishing unit, meaning it can accept calves from farms locked up with bTB. There are 500 calves on-farm at any one time, mostly continental cross, with about 35 Hereford and Aberdeen-Angus calves per month. They are split between three rearing sheds for the youngest calves and two larger sheds for weaned calves. The rearing sheds are split into two sides and, for biosecurity purposes, each side is filled with one batch of 65 calves, which are never mixed until after weaning. Each side is comprised of five pens which can carry up to 13 calves. Calves are weighed every week for the first six weeks and then every two weeks once weaned. A once-a-day milk feeding protocol is in place, feeding in the evening with three litres of milk to 600g of milk powder. Milk is mixed using a 110 litre mixer and water is heated through a gas boiler with the thermostat set to 42degC, cooling to 39degC once it reaches the trough. It takes approximately one hour to feed 170 calves. “The target weaning weight is 85kg and they must each be eating 2kg of cake per day before they can be weaned. But they stay in the rearing sheds for a minimum of five weeks irrespective of weight,” says Mrs Russell. Each calf gets about 17kg of milk powder, made up of whey-based powder with 10 per cent skim powder, before it is ready to be weaned. The newest calf shed took the family 18 months to design. Mrs Russell says: “We wanted to get it just right. We used perforated sheets, mostly used in horticultural buildings, which can be adjusted to let in light and air. 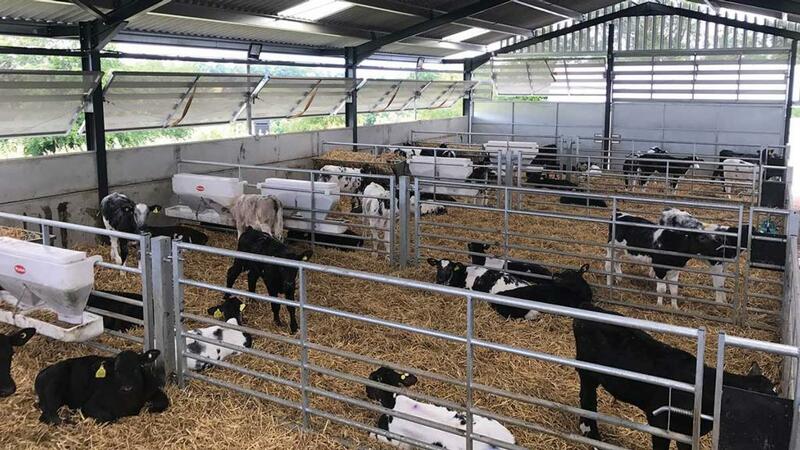 Once calves are weaned they are moved into larger group-housed sheds, fed four to five kilos of a 16 per cent protein concentrate per day with ad-lib haylage and straw.